I previously posted about my morning skincare routine. Since that's when my morning SPF goes on, my morning routine is arguably more important than my nighttime one. 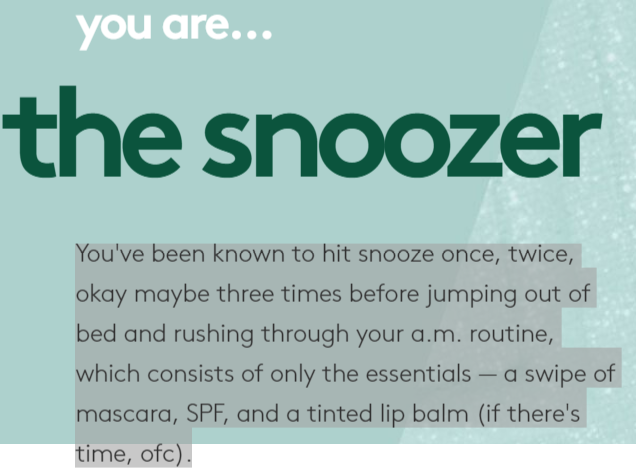 Well, maybe not more important, but let's just say I'm as religious about my morning routine as my nighttime one. And I'm REALLY obsessed with Volition Prismatic Luminizing Shield SPF 50 lately. 1. 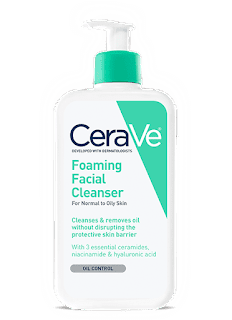 It begins with CeraVe Foaming Facial Cleanser. I use this in the morning too. It's my holy grail. Since learning that I don't want to use a harsh cleanser that will over-strip my skin, I have only used this. (Cetaphil doesn't work and is comprised of garbage anyway). 2. I follow next with a cotton ball of Paula's Choice RESIST Daily Pore-Refining Treatment 2% BHA. I have always had problematic skin and used Neutrogena's iconic orange cleansers. (Which I guess are now pink??). I was so mad when I learned that BHAs need to be left on the skin to best effective, rather than washed off like it does when it's in a cleanser. So, for years, I thought I was using salicylic acid --which is recognized as one of the best acne-fighters out there-- to treat my skin when I used Neutrogena facewash. But, I really wasn't. It was only on my skin for mere seconds. Once I found out that BHAs should be left on the skin, I switched to this stuff and my skin drastically improved. 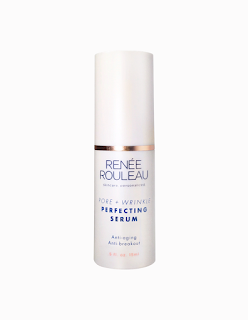 Plus it has peptides, so my skin gets an anti-aging boost too. 3. Then I apply Paula's Choice SKIN BALANCING Super Antioxidant Concentrate Serum with Retinol. Around the same time I learned about how to properly use chemical exfoliants, I had my big skincare awakening. I started reading more when parabens and phthalates became controversial. I started asking myself what I really knew about what products I used. I found Paula's Choice and learned tons from her books and her company. This was the first serum I used. 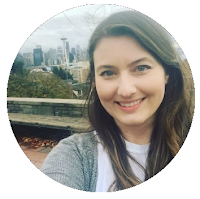 The idea of nourishing my skin with antioxidants + retinol was a far cry from the benzoyl peroxide cream-only routine that dominated most of my 20s. I was scared that everything made me breakout, but I started with this serum. Of course, it does NOT make me breakout and it has improved my skin tone and texture. It goes on like a slip and I love applying it every night. 4. Then I finish off with Paula's Choice DEFENSE Nightly Reconditioning Moisturizer. This is the newest addition to my routine. The combination of aging and a proper skincare routine has resulted in my skin being way less oily. In fact, it's now quite dry from time to time. I've read that moisturizer is an important part of good skin care, so I realized it was something my skin now needs. This stuff is fragrance free (I hate fragrances in skincare and they aren't good for your skin anyway). It also has 8 super food ingredients, some of which protect your skin from the blue light from electronics that can damage your skin. 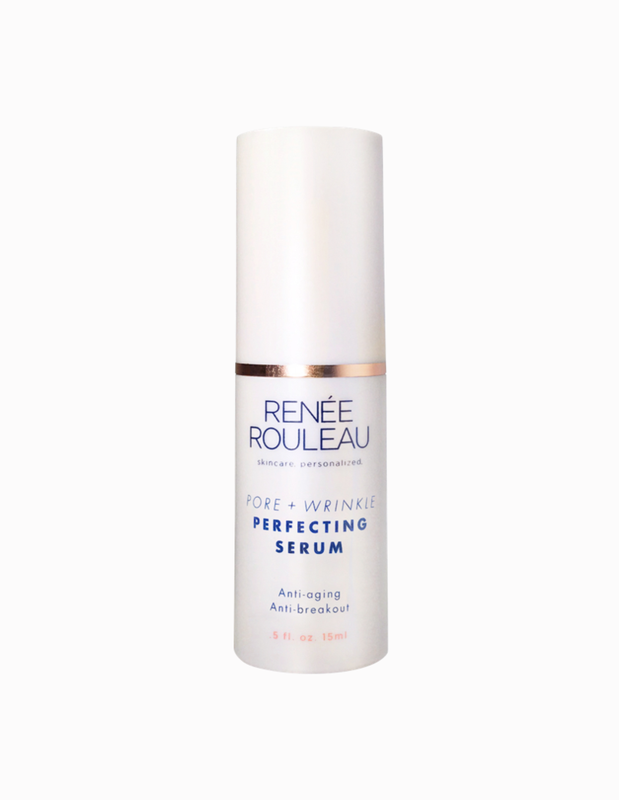 ONCE A WEEK, I replace steps 2 & 3 with Renee Rouleau Pore + Wrinkle Perfecting Serum. 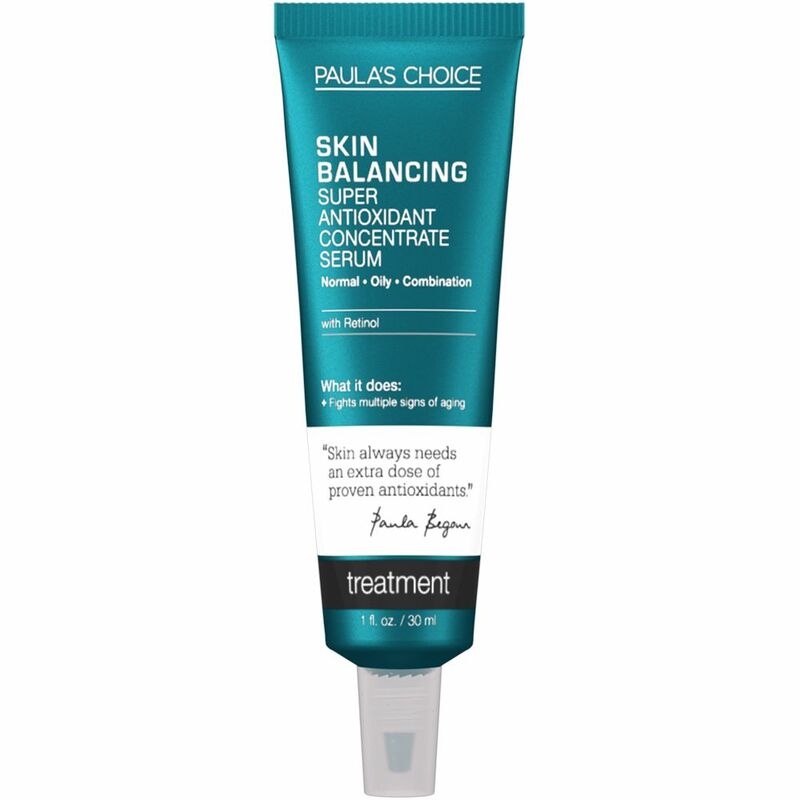 This has AHAs and niacinamide to unclog pores and lift discolorations. It's a bit tough for my skin, so I only use a very small amount. Are Artificial Sweeteners 'Dangerous Poisons'? I started this mostly to be a beauty blog. But, I knew I'd post about whatever was on my mind. Lately, that seems to be more health-related. Writing about any popular health topic intimidates me. There's SO much debate about nutrition science these days. On one hand, there's one group willing to accept that all 'chemical' ingredients in food are evil. On the other hand, there are factions dedicated to dismantling conclusions even when the supportive evidence is there. Ultimately, I think nothing is as a black and white as any side would like it to be. While I do have an advanced science degree, I'm not a physician or nutritionist. I also don't have formal training on meta-analysis. But, I do have training in experimental design and scientific review. So, this is really about organizing my thoughts after reading from trusted sources (ie the people who have the expertise to review all of the available empirical evidence from many studies and determine what the data is really saying). Artificial sweeteners are non-saccharide (non-sugar) food additives that are highly sweet but don't contain a significant amount of calories. The FDA has approved 5 artificial sweeteners: Acesulfame potassium (Sunett), Aspartame (NutraSweet or Equal), Sucralose (Splenda), D-Tagatose (Sugaree), and Saccharin (Sweet 'N Low). Aspartame is what is used in most of the popular diet sodas (including my beloved Diet Coke❤️). I'm also a fan of adding Jordan's Skinny Syrups to my coffee. I just checked the one in my kitchen and it contains acesulfame potassium and sucralose. The FDA also sets an acceptable daily intake (ADI) for each sweetener, which is the maximum amount considered safe to consume each day during a person's lifetime. The ADI is set to be about 100 times less than the smallest amount that might cause health concerns, based on studies done in lab animals. The FDA has set the ADI for aspartame at 50 milligrams per kilogram (mg/kg) of body weight. 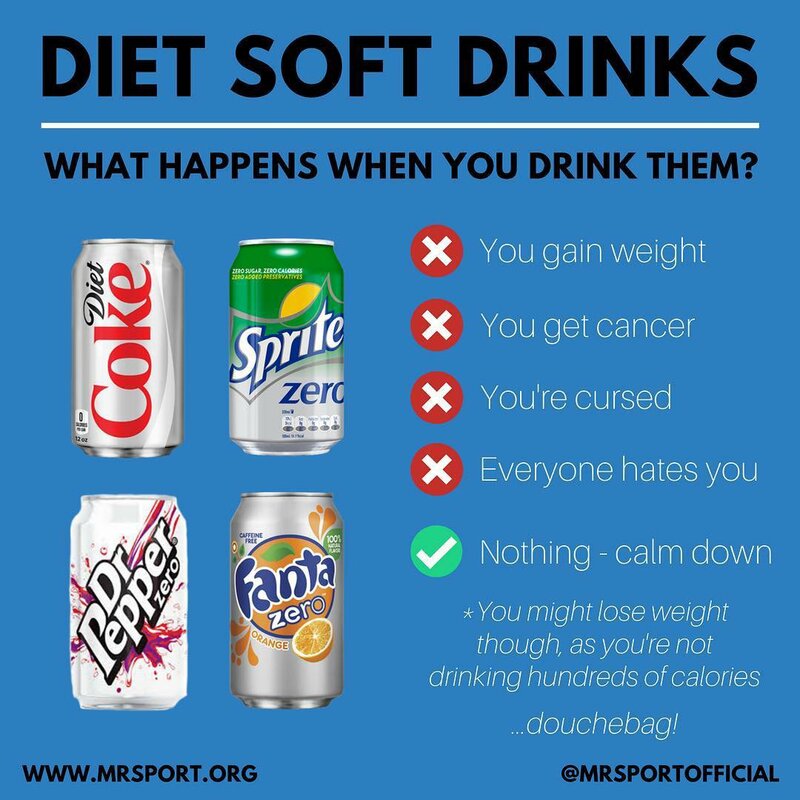 Supposedly a can of diet soda contains about 180 mg of aspartame. That means a person who weighs 150 lbs can consume 16 cans of soda a day. Furthermore, they'd need to drink over 1600 cans a day to reach the amount that might cause health concerns. And further still, the FDA describes aspartame as “one of the most thoroughly tested and studied food additives the agency has ever approved”. Saccharin is the one that is likely to blame for the origin of the controversy. It was originally listed as a carcinogen in the 1980s. But, this was all based on studies in rats and it turns out that some rats are just more likely to get bladder cancer. And, for what might be my favorite fact from researching this post: feed rats large amounts of vitamin C, and they get bladder cancer. Studies in actual humans found no link between saccharin and bladder cancer and the FDA reversed their stance on it in 2000. At this point there is no clear evidence that low calorie sweeteners (LCS) have an adverse effect on our gut microbiota leading to any adverse health outcome. Anyone quoting the basic science to suggest that there might be should be referred to the utter lack of correlation between the basic science and clinical outcomes on all the other false fears about LCS. To wrap this up, I will tell you that I'm going to continue to drink diet coke a few times a week and not feel guilty about it. Also, next time someone gives me grief and accuses me of choosing to get cancer from them, I'm going to ask them if they regularly consume alcohol. Cause, newsflash guys: there's good evidence that even small amounts of alcohol can increase risk of some cancers. Taste - These are pretty underwhelming in the taste department. They taste like whole wheat bread at times. But, they're MUCH better when eaten frozen. Grab one right from the freezer and it's definitely a tasty way to get a chocolate fix. Texture - The texture is good. They are quite cake-y. Ingredients - Not too bad, but a little odd. The list is long. These are advertised as 'healthy' but not 'natural' or 'real'. So, the ingredient list fits that, in my opinion. Availability - These are super easy to find. I've seen them in just about every major grocery store. (In the freezer section 😊). Taste - They taste great. They are very chocolate-y and very sweet. Both flavors are consistent throughout every bite. Texture - The texture is amazing. They are so soft and moist. They are like soft-baked cookies--but, better than any of the usual store-bought kinds. Ingredients - Ingredients are an important aspect of these snacks. Their number one ingredient is chickpeas (yes!). They are also vegan and free of the top 8 allergens (including eggs, gluten and nuts). I' d say you really know what you'r eating with these. But, they do list a few ingredients that I don't exactly have in my kitchen. Nonetheless, I'd say even really conscious-eaters would be happy with these. Availability - These I haven't seen in stores in my area. But, according to their website they're in a lot of stores throughout the Eastern US. You can order theses from Amazon or RuleBreakerSnacks.com (always free shipping). Depends what you want from a chocolate snack! 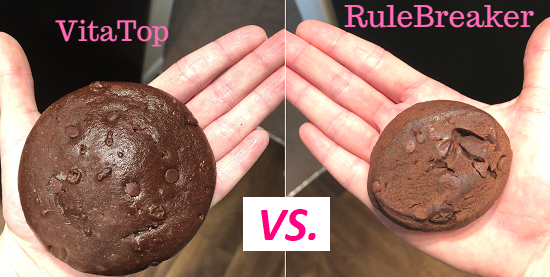 VitaTops are cheaper, easier to find and can't beat the calorie count. RuleBreakers win in the taste department and has the better ingredient list. What is it? - Evernote is an app that keeps notes organized. Why I love it - The app syncs between your devices. So I can jot things down on my computer and then its available on my phone later or vice versa. This is also my go-to for jotting down random information or capturing random photos. Whenever I hear the words, "Here's your confirmation number", this is where it goes. What is it? 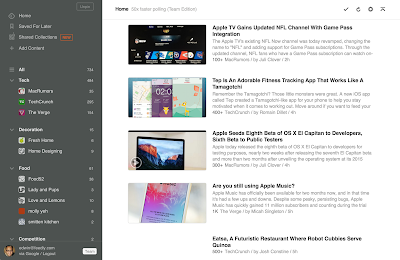 - Pocket is an app to save articles you want to read later. Why I love it - At the risk of stating the obvious, since the internet was created a link list has been a necessity. It also removes formatting from webpages so reading is easier. What is it? 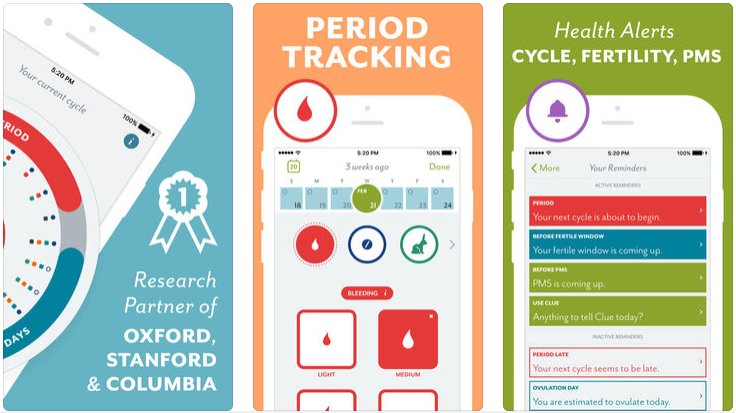 - Clue is a period tracker app. Why I love it - This app is smart (as you can see they partner with Oxford, Sanford & Columbia!). It allows you to track your cycles and your symptoms. Information is analyzed to help you better predict your cycle. They are also committed to female reproductive education. Their website is a source of great articles on the subject and the app pops up facts occassionally as you use it. The female body is amazing and there's a lot to learn about it. It also never ceases to amaze me how many of my female friends don't know all the different ways their menstrual cycle can manifest itself. We all need this! What is it? - An app that allows you to track your daily meal intake and activity. 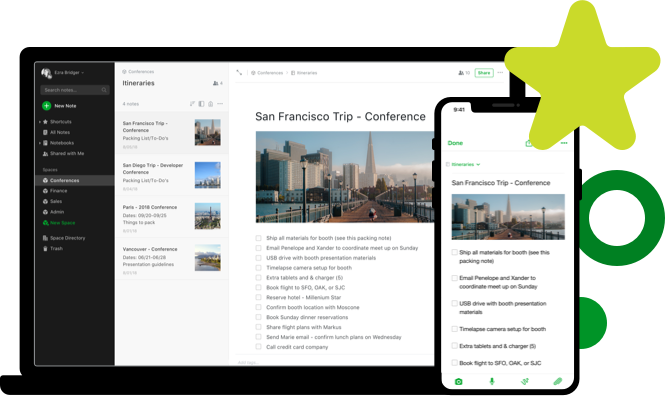 Why I love it - The platform is cleanly designed and super easy to use. The barcode reader is a must if you are an adventurous eater who tries new products as soon as they hit the shelves. 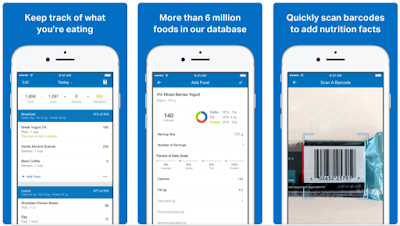 I also love the macro breakdown (you can view it daily or weekly) and the same for calories. What is it? - Feedly is a smart reader that organizes content from websites of your choice. Why I love it - There's obviously endless amounts of content on the internet. I use this to keep up with my favorite websites in one place. 1. Wash my face with CeraVe Foaming Facial Cleanser. It's gentle and fragrance-free. 2. 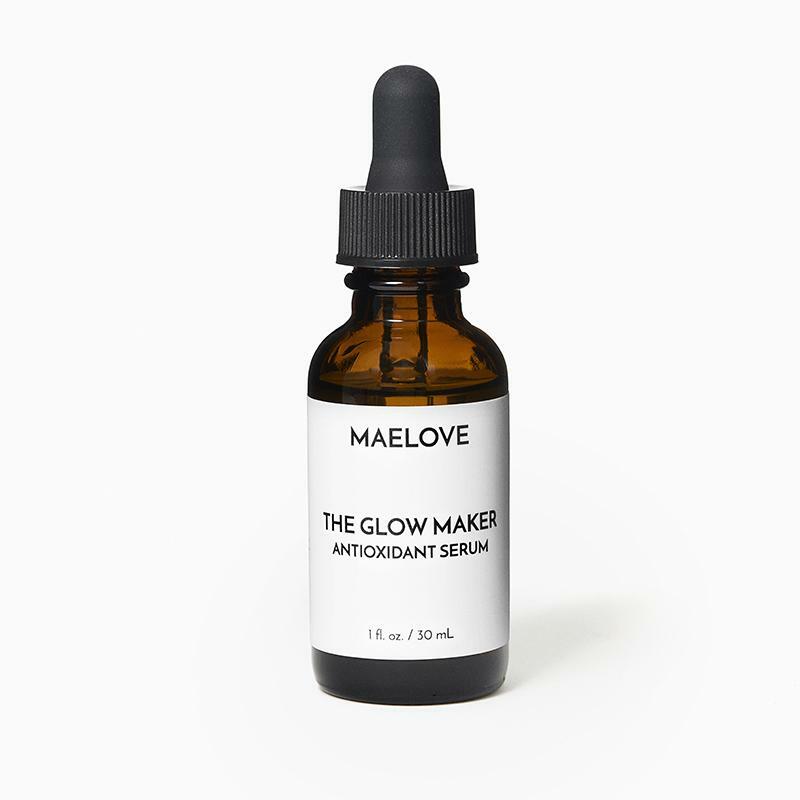 Apply 5 drops of Maelove Glow Maker Serum. It has Vitamin C, E, Ferulic Acid and Hyaluronic Acid. I'm thinking of adding niacanamide for my darker spots at some point. But, for now, this stuff has improved my skin tone immensely. You also can't beat what you get for the price -- this stuff was developed my MIT scientists and only costs $28. 3. Finish off with some Supergoop! Unseen Suncreen. It's so lightweight that it's fine with my oily skin. 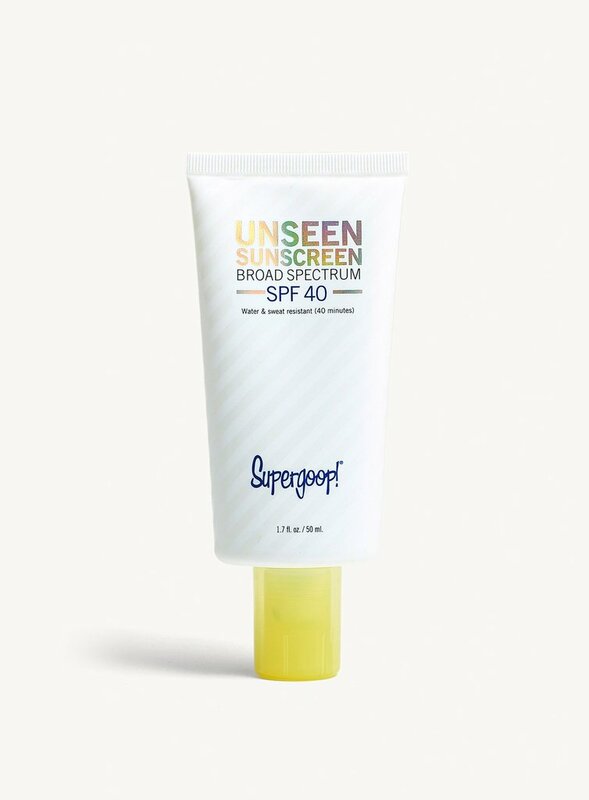 I'm way better about sunscreen after getting lax in my 20s. I'm also becoming more conscious of blue light from electronic screens and this fits that too. Welcome to my little corner of the world! I'm a 30-something who works in pharma. I'm interested in wellness and beauty. But, in general, I just blog what's on my mind. I'm always curious.